Web hosting for small business in the Cincinnati, Dayton, Ohio area. Specializing in business web site development for Ohio organizations. Applications, dedicated server, shared and e-commerce hosting with marketing tools. Located in Ohio. Offers managed dedicated server hosting and shared web site hosting in Columbus Ohio. Provides website hosting and domain name registration. Hosting accounts include CPanel and Fantastico. Based in Maineville, Ohio, United States. Multiple shared and dedicated hosting packages. Linux-based servers with PHP4, MySQL, Perl 5, and Python. Located in Northfield, Ohio, United States. Provides web design, hosting, and site promotion. Based in Dayton, Ohio. Provides web site development, e-commerce solutions, and hosting. Dayton, Ohio. Offers site design, maintenance, support, shopping carts, site upgrades, web hosting, and virtual and dedicated domain hosting. Offices in Lakewood and Bedford Ohio, United States. Offers design, hosting, and promotion for northeast Ohio, United States. Web design, hosting, and computer consulting, based in Mentor, Ohio. Offers design, maintenance, hosting and domain registration. Located in Ohio. Offers site design, hosting, and custom programming. Columbus, Ohio. Offers Linux shared hosting and dedicated servers. Located in Ohio, United States. Provides web site design, e-commerce, hosting, and marketing for businesses. Located in Christiansburg, Ohio. Offers design, development, hosting, name registration, and promotion. Medina, Ohio, United States. Offers web and graphic design, and hosting assistance. Located in Ohio, United States. Offers site design and hosting. Located in Long Bottom, Ohio. Offering web hosting, e-mail and opt-in mailing lists. Located in Kettering, Ohio, United States. Offering web design, marketing and product branding, and hosting. Located in Cincinnati, Ohio, United States. Offers web and graphics design, maintenance and hosting assistance. Located in Ohio, United States. Providing web and graphic design, marketing, consulting and hosting assistance. Located in the Cincinnati in Ohio, United States. Design, content management, hosting, domain name registration, and consultation. Located in Cincinnati, Ohio, United States. Cleveland based ISP offering DSL, web hosting, ISDN, dial-up, and T-1 dedicated lines. Serving Northeast Ohio. Offers web and graphic design, domain registration, hosting assistance, and promotion. Located in Cleveland, Ohio, United States. If the business hours of Queen City Web Hosting in may vary on holidays like Valentine’s Day, Washington’s Birthday, St. Patrick’s Day, Easter, Easter eve and Mother’s day. We display standard opening hours and price ranges in our profile site. We recommend to check out queencitywebhosting.com for further information. 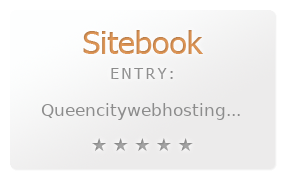 You can also search for Alternatives for queencitywebhosting.com on our Review Site Sitebook.org All trademarks are the property of their respective owners. If we should delete this entry, please send us a short E-Mail.